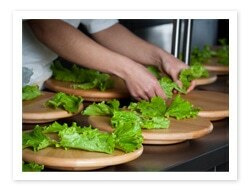 Everything from repair, maintenance, installation, sales and support, DMM Catering Services can cover every element of your Catering needs. At DMM Catering Services we can provide repairs to Foster, Moorwood Vulcan, Rational, Gram, Falcon, Lincat, Dexion and Garland products. Our team have years of experience with these products and are also a Foster Refrigerator Dealer. 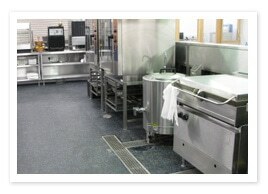 Whether it is a small or relatively large maintenance or service job you require DMM Catering Services can help. Providing specialist commercial refrigeration repair and maintenance to Poole, Bath, Reading, Wokingham, Swindon, Oxford and Southampton DMM and cover a wide range of areas but still offer a local, friendly service that delivers on a quality finish. At DMM we are also able to carry out our services on Gas Interlock Systems which are primarily used to help the ventilation system and the gas solenoid valve interlock. All work on Gas Interlock Systems Comply with Gas Safe Regulations for commercial kitchens and are fitted by one of our catering engineers. If you would like to find out further information about our services please do not hesitate to contact us and we will be happy to help. You can contact us via our contact page or Call: 01225 700 201.